There are few stories as intriguing as the mystery of Natalie Wood. Natalie was born in 1938 to Nikolai and Maria Gurdin. One could safely say that the real story of Natalie Wood started when she was four years of age and appeared in "Happy Land" alongside her mom. For it was there that special screen presence that Natalie had was first seen and was so amazing that it sparked a move for the family from San Francisco to LA. 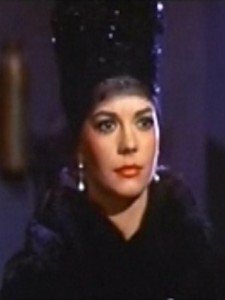 Once in Los Angeles, Maria Gurdin changed her daughter's last name and it is here that the mystery of Natalie Wood begins. She is most well-known for her role in the Christmas classic "Miracle on 34th Street", and then for the romantic lead in "Rebel Without a Cause" next to James Dean. Her film credits total more than fifty and her dazzling on screen performance can only be rivaled by her off screen love affairs. It is rumored that Natalie Wood had a romantic link with everyone from Elvis Presley to Warren Beatty and even a few producers. She was married three times, twice to Robert Wagner and her then agent Richard Gregson. While Natalie Wood may have seemed to live a charmed life, those that knew her could tell of the tough times that Natalie endured on her journey to find happiness. While her first marriage to Robert Wagner ended in divorce due to Robert's infidelity (rumored to be with another man) it was after her second marriage ended (to Richard Gregson) that she and Robert realized that they were meant to be together and they again married in 1972. The mystery of Natalie Wood did heat up with the remarriage to Robert Wagner. While their relationship seemed to be good to begin with as their careers began to fade, so did their relationship. Then Natalie landed a role in the upcoming film "Brainstorm" alongside Christopher Walken in 1980. It could very well have been this movie role that lead to one of Hollywood's greatest unsolved mysteries. Many attribute this role to the soon developing mystery of Natalie Wood. It was while working on this film that rumors began to surface the Natalie was having an affair with Christopher Walken. While both Wood and Walken denied any romantic involvement they did share an off-screen friendship that Natalie's husband was a part of as well. On November 29, 1981 Natalie, her husband Robert and Christopher Walken boarded the Splendour - the couple's yacht - and headed for Catalina Island where they planned to celebrate the successful shooting of "Brainstorm". They had dinner at the Harbor Reef Restaurant where they did indeed celebrate with good food and a number of bottles of champagne. They got so out of control that they caused a scene and had to leave. It is here that the information available on the night that Natalie Wood died varies depending on who is providing the information. The official report states that Natalie slipped when she went out to tie the dingy to the yacht, which had been banging against the side of the boat. Due to how late it was, the amount of alcohol she had consumed and the weather she slipped and fell in the water and drowned. For three decades, this has been the story behind the mystery of Natalie Wood. The troubling part is that neither Robert Wagner nor Christopher Walken will talk about the night Natalie Wood died. The statement that Robert Wagner gave to the police is different than the story the captain Dennis Davern gave the police. No mention has been made of any statement that Christopher Walken may have given. What most people will agree about is that there are a number of unsolved mysteries surrounding the death of Natalie Wood. Why would a mega movie star be out in the middle of the night, in the cold, in her nightgown, socks and a down coat? How much noise could a rubber dingy make against the side of a yacht? According to the Captain there was a fight going on between Walken and Wagner over Wood. Is it possible that Wood was the cause of the fight and the rumored affair that Walken and Wood were having was true. Could the fight have gotten physical and Wood tried to break up the fight and accidentally gotten knocked overboard? If that is the case, why won't Wagner and Walken talk about that night... why didn't they do anything to try to save her? The mystery of Natalie Wood was truly one of Hollywood's greatest unsolved mysteries. That is, until recently, when the Captain that was in control of the yacht that night decided to speak out and provide his version of the story to the press. On Thursday, November 17th 2011, the Los Angeles County Sheriff’s Office elected to reopen the case regarding the mystery of Natalie Wood based on information obtained from the Captain of the Splendour, Dennis Davern. On Friday, November 18th 2011, Dennis Davern informed NBCs “Today Show” that he insisted that the homicide department at the sheriff’s office to reopen and reexamine the case surrounding Natalie Wood. He informed the show that he made a mistake by not informing investigators at the time of the truth surrounding the many events that occurred prior to Natalie Wood’s death and that he wanted to change the official account so that the world would know the truth, once and for all. When asked by the show’s host, David Gregory, if the argument that transpired between Natalie and her husband led to her demise, Dennis Davern replied with a simple “Yes”. When he was questioned further on how it led to her untimely death, Davern responded with: “That’s going to be up to the investigators to decide.” The stunning allegation that Davern has more details than was originally expressed is considered to be an explosive development for the Los Angeles County Sheriff’s Office Homicide Bureau. As a result of the development, Lt. John Carino stated: “This new information is substantial enough for us to want to take another look at the case”. This new information developed less than two weeks prior to the thirty year anniversary of her death, which occurred on November 29th 1981. Once this was said, Natalie apparently went to the lower part of the deck and Walken excused himself to his room. Based on the recent turn of events, it is believed that the true mystery of Natalie Wood starts here. Dennis Davern reports that Robert Wagner went down into the room with Natalie and an argument broke out. Davern has reported that he heard a lot of yelling and things being thrown. As time progressed, the fight continued to the back region of the yacht. Then, he claims, things suddenly became quiet. Eventually, Davern claims that he went down below and that Natalie was nowhere to be found. It was at this time, he claims that Wagner said “You must search the boat and see where Natalie is”. When Davern could not find her, he suggested turning on the searchlight on the water vessel and he claimed that Wagner stated: “Don’t do that”. This is one more factor in the mystery of Natalie Wood. According to Davern, it took over two hours for Wagner to make a call to the island and over four to contact the Coast Guard. Marilyn Wayne, who was on a yacht near where the Splendour was located, has recently stated that she heard a female voice yelling for assistance. She states that she heard the female desperately screaming for help and that she was “drowning”. She reports that she attempted to call the harbor patrol unit many times, but that there was never an answer. She continues to state that at approximately 11:25pm, the endless pleas for help by the female voice ended abruptly. According to paramedics, Natalie Wood was discovered floating in the cold water. She was wearing a red jacket composed of down, socks as well as a nightgown composed of flannel. According to Roger Smith, one of the emergency response workers, she would have lived had they got to her in time. The mystery of Natalie Wood has continued to live in the hearts and minds that adore her as an actress, a relative, a friend and a person with no conclusion to their life. While it is true that all the members of the Splendour had similar stories when she came up missing, the stories are now starting to change just a bit. The Los Angeles County Sheriff’s Office does not view Robert Wagner as a suspect in Natalie Wood’s death. As a matter of fact, to this point, they still lean towards the fact that it was an accidental drowning. However, Lt. John Carino states: “We’re going to look into that and make sure there’s nothing new that might make us change our mind.” The mystery of Natalie Wood is still surrounded by rumors and accusations, but authorities believe that the world will soon have the answer to this case. Until then, the story is still considered one of the greatest unsolved mysteries of all time. Bookmark this page for further updates surrounding the mystery of Natalie Wood.